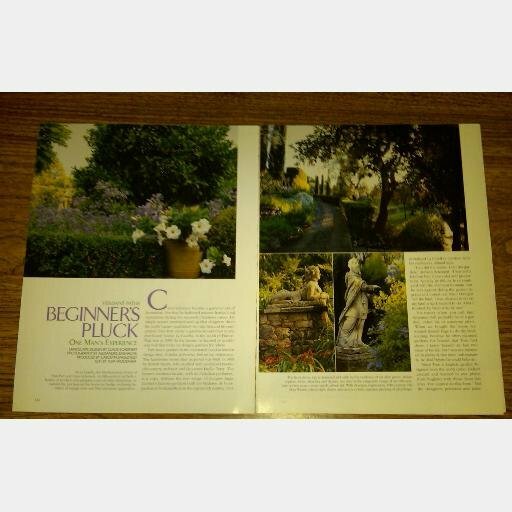 Here is a 4 page clipped article 'Verdant Paths - BEGINNER'S PLUCK - One Man's Experence' that appeared in a 2004 issue of VERANDA magazine. The article is in very good condition with no creasing scratches or marks. Shipped by First Class or Priority Mail with cardboard inserts so the article will not bend.